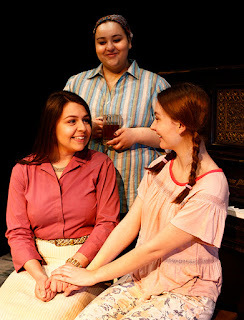 The University of Texas at Arlington’s Maverick Theatre Company presents PRINCESS MIA by Mary Rohde Scudday. The story of two women whose very different worlds collide. An older half-sister is suddenly faced with the guardianship for her intellectually disabled sibling...a half-sister she never even knew existed until the sudden death of their father. A World Premiere production written by the Rockefeller Playwriting Fellowship-winner Mary Rohde Scudday of San Antonio, her play LADY BUG, LADY BUG FLY AWAY HOME was also the Kennedy Center nominee as one of the best ten plays produced outside of New York. PRINCESS MIA is presented in the UTA Mainstage Theatre (Fine Arts Building, North Section, Room 174) located at 502 South Cooper Street. Performances of PRINCESS MIA are April 11th, 13th, 16th, and 18th at 8:00 pm and April 14th at 2:30 pm. Tickets are $10 for the general public and $8 for students/senior citizens/UTA faculty & staff. For tickets please contact UTAtickets.com. For further information, please visit the UTA Department of Theatre Arts website. PRINCESS MIA is recommended for adult audiences only.